I'm not a leading man. I just don't like to ask for things. I'm just in love with Burberry. Always have been, always will be. I've grown so much, not just as an actor, but as a human being. Today is a day to celebrate love, equality and justice. Congratulations to the supreme court for finally opening up their eyes. Way to go. I mean, I've never really had much security, to be honest. New Updates! (4/26/2019) We've been working really hard on completing our membership system so you can submit quotes and keep track of them. Once this is complete in the coming weeks there will be a lot more quotes by Aaron Paul and other authors. 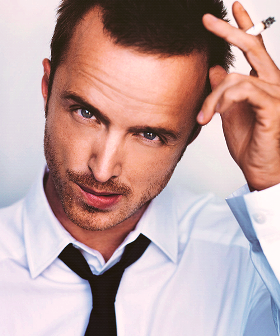 We've also changed the sorting on the site so you now see the latest Aaron Paul quotes first. Our goal is to have the best Aaron Paul quotes on the web!